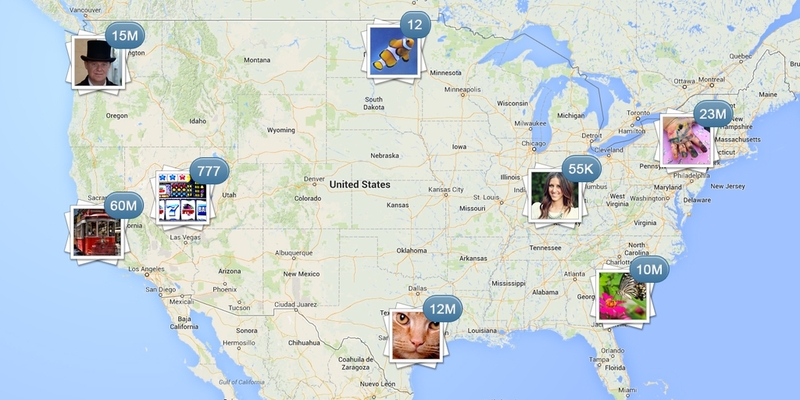 Is Instagram's Separation From Foursquare Premature? Jonathan Barouch is CEO and Founder of location-based analytics company Local Measure. About a month ago, a subset of Instagram users noticed something a little unusual when snapping Lo-Fi shots of their coffees. When they went to tag a photo of their non-fat almond milk vanilla lattes to the cafe’s location, Instagram appeared to have replaced its list of recommended “location names” to Facebook Places, where users had previously had access to the “powered by Foursquare” list. Some blogs suggested that this was just a test to experiment the results of migrating some of their users to Facebook’s own place database while other bloggers suggested that this was a signal that the once happy couple are ending their three-year relationship. This begs the question – is Instagram breaking up with its long-time partner too soon? My personal Instagram account seems to have been migrated to ‘the test group’ that is seeing Facebook Places rather than Foursquare Places sometime and the difference in the user experience post migration, is noticeable. While the location list under Foursquare almost always contains the location I am looking for, Facebook’s data set is missing many popular places. For example, at my office, only a few of the local cafes show up in the list and even the location of my own startup doesn’t appear when searching for it by name, this wasn’t the case when I was accessing the Foursquare list. When taking photos in very dense areas like a Westfield mall, I found it virtually impossible to tag a photo to the relevant business. Many locations simply do not exist after Instagram moved me across to Facebook Places. Previously, I used to be able to quickly scroll to find the relevant location – the local cinema for example; now when I go to tag a location on Instagram, I am required to search for the location manually or in the case of the food hall, many merchants simply don’t appear at all. There are other new challenges for a user; many of locations are coming up as duplicates. In fact, I’ve seen up to 15-20 possible matches for the same location at popular places like an airport and when I searched for a family member’s building, this has disappeared from the list completely. It isn’t all bad though, there is an upside to Instagram’s switch – Instagram’s use of Facebook certainly has potential. Facebook has a strong dataset when it comes to public points of interest (any Facebook page that is also a Place page also appears in the location list). This will be very handy in future if Facebook wants to merge Instagram photos into Facebook Place pages to sit alongside Facebook check-ins and their new local reviews, which seem to be gaining traction. This will result in an improved experience for individuals and businesses alike. While we are seeing some issues, we must not forget that Facebook has improved its Places dataset significantly over the last twelve months, which is a positive sign. The mapping between a Facebook Place to a Foursquare Place also seems to be quite accurate and Facebook seem to be focusing more on local data, experimenting with features like Nearby. This might explain the focus on exposing Facebook Place data through Instagram. Still… is it too soon? While these changes could herald some interesting new opportunities and features, it seems Instagram’s migration to Facebook Places is premature. If Facebook wants to migrate Instagram users to the Facebook dataset the result will likely be that many users will stop tagging locations to their posts. This would be a massive shame both for the users and also for Facebook itself, which can glean valuable insights from location tags. Through the use of Foursquare place data, Facebook has a strong offering across a variety areas, like the ability to highlight which businesses are busy and at what times. 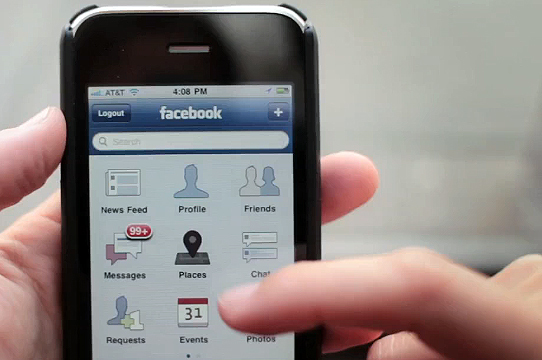 Facebook could also highlight which users are interested in certain locations. Using this data, would not only benefit the users who are planning to visit, businesses could even target Facebook users with more relevant ads based on the locations they share on Instagram. As I understand it, the most valuable element Facebook acquired when it bought Instagram was an incredibly engaged user base sharing their experiences in the real world. Location is possibly one of the most valuable signals in Instagram’s sea of data and it has been assisted in large part by a very clean data set courtesy of Foursquare. It would be a shame to see that terrific integration lost. Facebook has come a really long way with their Places data, and it will be interesting to see where they go with their location focus, but the company still has more work to do before they unleash it on 200 million additional users. So if Instagram is thinking of breaking up with Foursquare, they should sit down with their scrapbook of memories and remember the good times, because the relationship with Foursquare is good for the experience and good for their users.